A mother of six children now ranging in age from 24-38 years old, Audrey has served over the years as a PSR teacher, an Extraordinary Minister of Holy Communion, and now the chairwoman of the Women’s Fellowship, among other things. Less visibly? She faithfully takes care of the plants around the Parish Center and its grounds. Q. 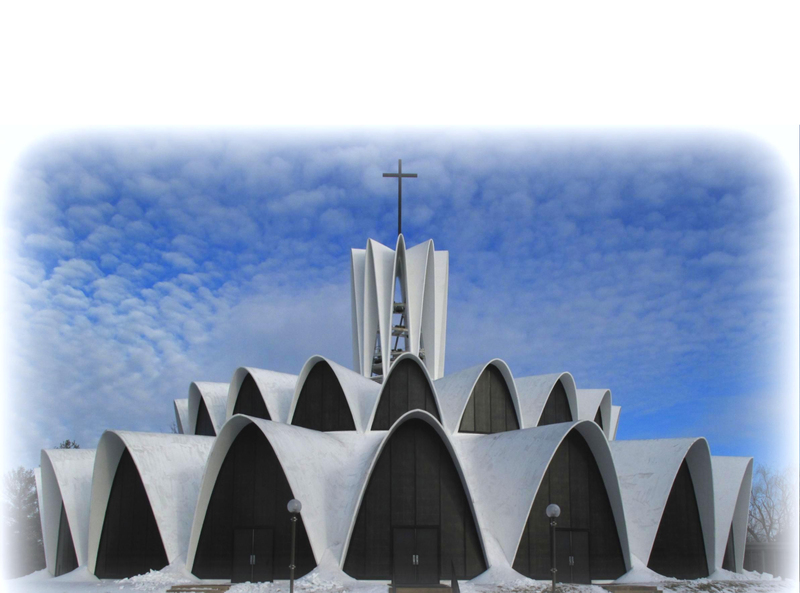 Why did you initially decide to become part of St. Anselm Parish? Q. How did you become involved in the life of the Parish? “Over time, I just started volunteering and taking part in activities, attending Bible studies, attending one-day events. And then, a little bit more was when one of the former [secretaries] left, and I started to notice that there were a lot of dead plants. And I went into the office and said, ‘Would it be OK if I kind of take care of the plants?’ and they said sure! That kind of blossomed, and then I became a Eucharistic Minister, and then here I am as Women’s Fellowship chairwoman. Q. Why did you feel called to lead the Women's Fellowship? Q. How do you feel that your leadership position in the Women’s Fellowship and the connections you’ve made through the parish have contributed to your spiritual life? A. “It’s almost like I can put my car on autopilot. This is like a second home, in that I can come by, I have a good relationship with the staff here, and so I feel very comfortable here. As far as spiritually, taking care of the flowers, especially in the Worship Space—you know, sometimes I’m there kneeling, and I go, ‘Well, here I am again, dear Lord.’ It’s just very comfortable being in the Worship Space and being around people who share in the idea of spreading the Good News and being comfortable with doing that. As a PSR teacher, I make the kids aware that just one thing they do can mean so much and inspire other people." Q. Why do you feel that this gathering of women in the Women's Fellowship is important to the Parish and to the spiritual lives of the women? A. “I’ll tell you that lots of times, people maybe don’t share personal struggles, but I have actually seen where someone will mention--even briefly--a difficulty or stressful situation, and then somebody else chimes in, and then someone else chimes in, and then all of a sudden, even though you’re in a crowd, you don’t feel isolated, and you find people that share similar difficulties. It does provide comfort, and it does provide you with the opportunity to share and even get encouragement and maybe even help fill in a void--that you couldn’t get an answer, but someone else within the group has a possible answer, and it helps to make your situation a little better. Q. If you spoke to someone who was thinking about joining St. Anselm, what would you tell them about the Parish? A. “It’s just like home. People are very welcoming, and there are lots of activities, so it’s very difficult to say hey, there’s nothing going on in our parish. And I mean truthfully, it has expanded a lot. As a matter of fact, as I’m cleaning at home, I’ve been discovering bits and pieces—old bulletins that were only two pages. Now, there’s lots of pages and lots of activities. We’re building awareness of all the different things that we can be involved in, in nurturing our own community but also stepping outside our community and helping." Know someone who should be featured in this column? Tell Laura Kosta, communications secretary: communications@stanselmstl.org or 314-878-2120.